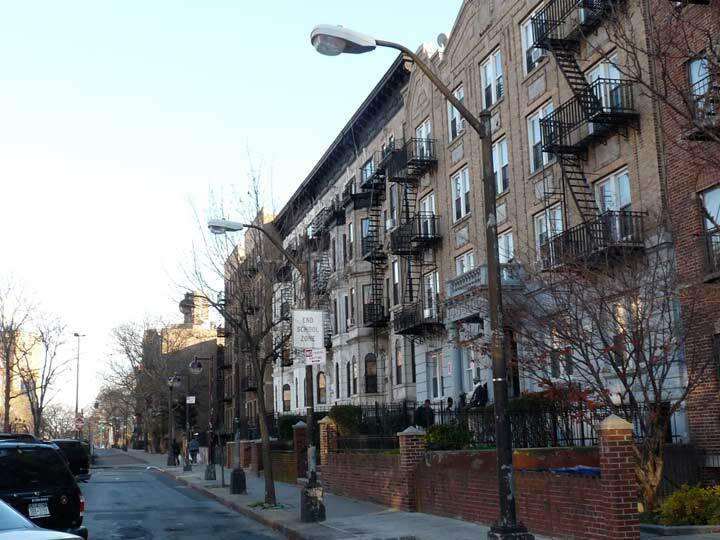 St. Mark’s Avenue runs from Park Slope in Brooklyn east from 5th Avenue to East New York Avenue in its titular neighborhood, with some interruptions. 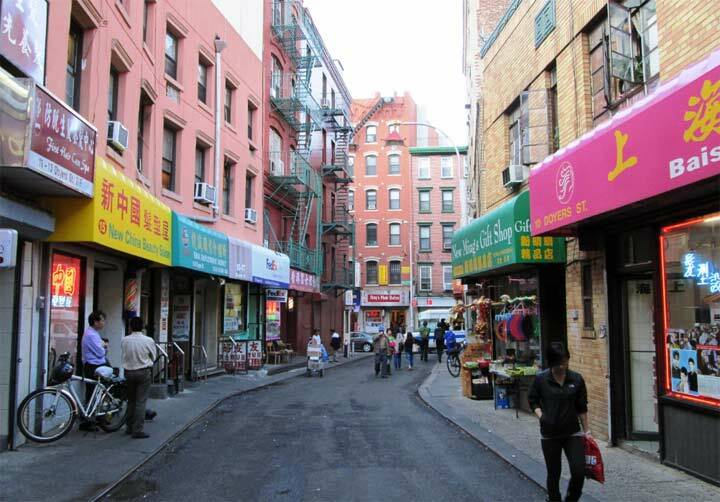 Actually it is a much longer eastern extension of St. Mark’s Place, which runs between 3rd and 5th Avenues. Several blocks to the south, St. John’s Place keeps its Place moniker for the entire length of the street from Park Slope to East New York, and so far, I haven’t found any explanation for these quirks, though St. John’s Place was originally Douglass and changed its name in honor of St. John’s Episcopal Church. On the block of St. Mark’s Avenue between Kingston and Albany, about 30 years ago (by my estimation) the city decided to mall-ize the block and install perpendicular parking along the center median, and built a park (called St. Mark’s Children’s Park) along part of the median. At the same time, an unusual species of lamppost was installed on the sidewalks, resembling the shorter lamps used under elevated trains (and there are some samples of that here, as well) along with a crook-necked version I don’t remember finding elsewhere around town. They are, or were, painted chocolate brown and all had the large “new gumball” fixture, again seen most often under els. Some of the gumballs have been replaced by new versions of the Genral Electric M400. Presumably, the lamps will be replaced soon by LED lamps of some kind, so these posts’ days may be numbered. 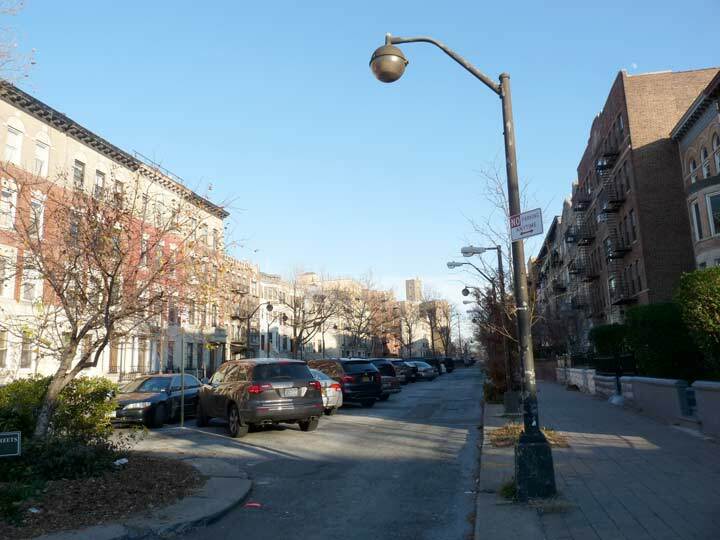 The lamps on the street between Albany and Kingston are different because they were part of the “Superblock” experiment on the 1960s, sponsored by Robert F Kennedy and the newly established Bedford Stuyvesant Restoration Corp. I.M. Pei designed 2 superblocks for the project, which included funky globe lights. They were modified a few years ago, but are still very different from other surrounding lamps. DIDNT ST.MARKS OR ST.JOHN STREET HAVE THE LAST TROLLEY BUS SERVICE IN BROOKLYN?? ?SEEM TO RECALL THAT ONE OF THE STREETS PASSED UNDER THE FRANKLIN SHUTTLE??? St Marks passed under the Franklin Shuttle. St John passed over the Franklin Shuttle and part of the route had bus service.